This question looks so simple – we can say almost anything in the accounting world – but turns out to be equally hard to answer for most of the organizations considering outsourcing. Not just the organizations, the people who want to make a career in the back office, also quite often are not clear what finance and accounts outsourcing holds for them. They cannot decide which stream they need to get into and why, why will it be beneficial to choose a certain stream, whether they need to build their career as an SME or as a people manager. After all finance and accounts for most people are a plethora of debits and credits, revenue and capital classification and a presentation of the accounting summary in the final statement of accounts. The fact is much wider than this. As organizations grow large, each function gets a flavor of specialization to it. Most of the people at the startup level end up doing a small component of the work. The senior people get into decision making and managing. 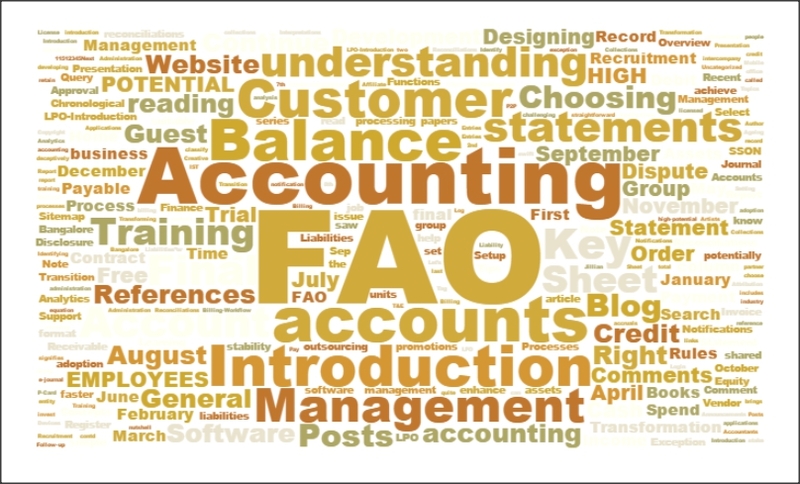 The accounting department splits into distinct segments, each focusing on a specific or a sub-specific area. There are different levels of complexities and over a period of time, the demand for people goes specific, in spite of the fact that most commerce graduates do have a fair understanding of a large number of functions. This applies strongly to resources in India. In developed countries like US, UK and those in Europe, a lot of people start specializing at an early date in one or a few streams of accounting. The catch – to be of value to your organization, you need to start becoming a generalist with specialization in two to three segments.